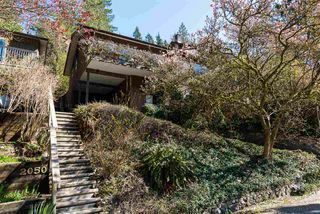 When searching for North Vancouver houses and for that perfect new home or property, it’s important that you know the area you are searching, it’s surroundings and all the great amenities that are sitting waiting for you. Born and raised Award Winning North Vancouver Realtor Jim Pilkington of RE/MAX Crest Realty can give you great insight into all the different communities within the North Vancouver area and all the real estate options and choices to choose from. Separating Jim from many of the other North Vancouver realtors is the fact that he was born and raised here and has attended both elementary school here and high school. North Vancouver offers so much to it’s residents, from parks and trails to shopping, restaurants, and an excellent selection of schools. With the backdrop of the picturesque North Shore mountains, beautiful trees, and proximity to downtown, you’re never to far from anything. There are hundreds of North Vancouver realtors out there, a handful of real estate brokerages, but North Vancouver real estate agent Jim Pilkington is proud to be working out of the top performing brokerage in North Vancouver RE/MAX Crest Realty. This ensures your listings get coverage on some of the top ranked websites for real estate, a brand that invests greatly in the local media to drive exposure to your listing, as well as our network of agents and buyers. With 75% of home purchases now starting with an online search, you’ll be well positioned to take advantage of this trend. For Jim, RE/MAX signifies trust, longevity, and a well known and reliable company. 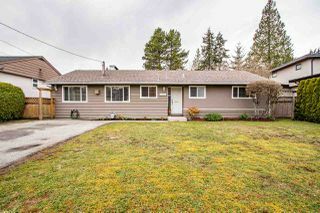 All of these things are very important to Jim and having lived in North Vancouver for over 37 years, he feels you can put your trust in him as your agent and to make this a stress free and financially rewarding experience for you. Just as important as knowing the market, is knowing how to market. Jim is not only one of the top realtors at RE/MAX Crest Realty, he is also proud to bring over 15 years of sales and marketing to the table, which positions his clients very well when creating the exposure they deserve for their real estate listings. When buying or selling consider North Vancouver real estate agent Jim Pilkington RE/MAX Crest Realty North Vancouver #101 2609 Westview Drive, North Vancouver, BC V7N 4M2. Start your North Vancouver home search below. If you are looking for more specific North Vancouver neighbourhood searches, please use the North Vancouver Real Estate tab above for a list of North Vancouver communities and home listings..
Feel free to start your North Vancouver home search now with the below North Vancouver listings provided by North Vancouver Remax Realtor Jim Pilkington, updated daily as new listings hit the market. When considering what agent and brokerage to use, rest assured that month after month RE/MAX real estate agents list and sell more properties in North Vancouver than any other brokerage, which has earned their brokerage and real estate agents top producers awards for North Vancouver. Give yourself the best exposure when buying or selling with real estate agent Jim Pilkington of RE/MAX in North Vancouver. Jim Pilkington REALTOR in North Vancouver is happy to help you with your home buying and selling needs, if you see a listing and would like to setup a viewing to see it, give me a call at 604-785-5188 and I’ll be happy to set it up for you!